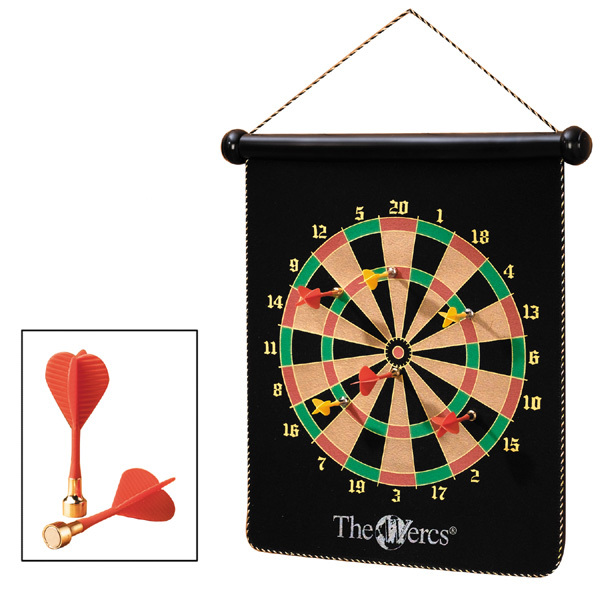 Magnetic Dart Board can be used almost anywhere.Promotional Magnetic Dart Board. Great for the office, game room, bedroom or garage. Magnetic points make them safe for use by adults or children. Comes with 3 yellow and 3 red magnetic darts.